UFO Factory is at 2110 Trumbull, one block north of Michigan Ave., across from the ghost of Tiger Stadium. All films are free and open to the public, though donations will be accepted to help defray expenses. Guy Maddin’s early masterpiece takes place in a 19th-century Alpine village where the wary residents —adult, child and animal!—must speak softly and tread lightly lest they cause an avalanche. But sexual frenzies teem in this world of repression, setting off incestuous love triangles and quadrangles with deadly consequences. Bathed in lurid, luminescent tints, Careful resembles a vintage melodrama from another planet—something that could only emerge from the singular mind of Maddin. La Notte is another of Antonioni's cinematic interrupted journeys. Just as no one solved the central mystery in L'Avventura, neither does anyone truly enjoy the literary party that is La Notte's centerpiece. The party is being thrown to celebrate the publication of author Giovanni’s new novel. But before he even reaches the door of the house, his evening is ruined when his wife Lidia announces suddenly she is disgusted with him--this reaction evidently triggered by an earlier visit to a dying friend. Lidia skips out on the party to wander the streets, searching for...what? Meanwhile, Giovanni tries to inaugurate an empty affair with Valentina, the daughter of a wealthy industrialist. The very elements that drive Giovanni and Lidia apart at the beginning of the film reunite them at the end. Maybe. L'Avventura and La Notte were the first two chapters in Antonioni's "barrenness and alienation" trilogy; the third, L'Eclisse, was released two years later. An Academy Award nominee for Best Foreign Language Film, Tran Anh Hung's "luxuriant, visually seductive debut" (New York Times) recreates antebellum Vietnam through both the wide eyes of childhood and the deep blush of first love. 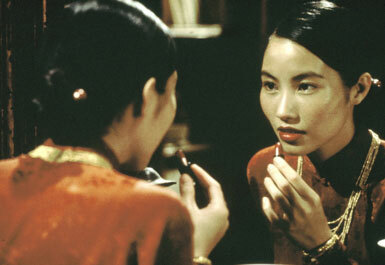 In 1951 Saigon, 10 year old Mui enters household service for an affluent but troubled Vietnamese family. Despite her servile role, Mui discovers beauty and epiphany in the lush physical details that envelope her, while earning the fragile affection of the household's grieving matriarch. As she comes of age, the now grown Mui finds her relationship with a handsome pianist she has admired since childhood growing in depth and complexity. The Scent of Green Papaya's heady, scrupulously detailed and wholly authentic depiction of a society in decline, a family in quiet turmoil, and lovers on the threshold of romance earned it the Camera d'Or at the Cannes Film Festival. This allegorical European black comedy examines the past 50 years—between 1941 and 1992—in Yugoslavia's history. 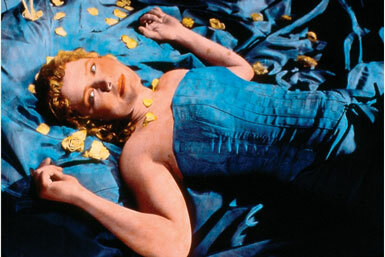 The film, at nearly three hours long, is divided into three segments. The protagonists are band-leader Marko and his best friend Blacky who in Belgrade, 1941, were simultaneously communist patriots and racketeers. When the Nazis invade Belgrade, the men take their families down to an enormous wine cellar where the rebels have set up an underground munitions factory. Even as the Allied bombers destroy the remains of Belgrade, the treacherous Marko convinces the subterranean refugees that the war is still in effect and that they must continue making arms to be prepared when Tito calls for them. Twenty years pass, and the refugees, living on dog food, are still hard at work, cheerfully making guns to save their country. Meanwhile, Marko has become a prominent party official who also sells illegal arms and drugs. The situation for him is very good until Marko's brother discovers his treachery and all hell breaks loose. 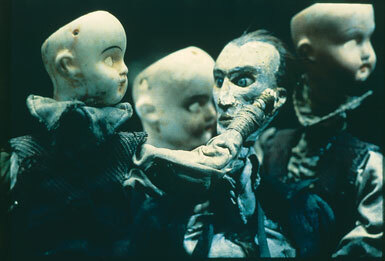 “The Cabinet of Jan Svankmajer” 14 min. “Rehearsals for Extinct Anatomies” 14 min. “Street of Crocodiles” 21 min. “Nocturna Artificiala” 21 min. This series can only happen thanks to your generous donations!